This column first appeared in the News & Observer in Raleigh, N.C. on Jan. 23. 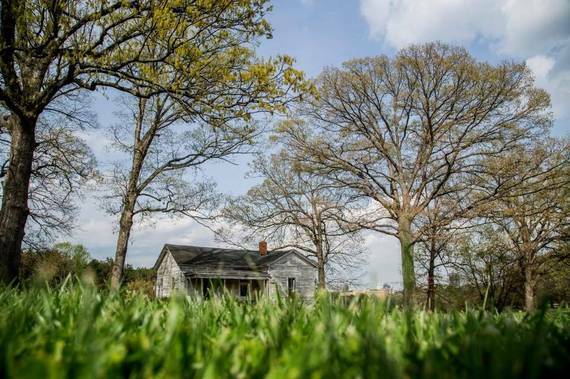 Breathtaking seems the best adjective for the 308-acre Dix property Raleigh recently acquired from the state of North Carolina for $52 million. And the only aspect more breathtaking than its size, scope and beauty is how far-reaching a challenge this rolling, wooded landscape presents the city. Its development as a park calls for solutions that get it right - now, and for the ages. That means looking back to the recent past for lessons learned from the politics of design. The 2012 withdrawal by artist Jaume Plensa of his world-class, downtown sculpture (along with its $2.5 million funding from Capitol Broadcasting President and CEO Jim Goodmon) comes immediately to mind. Controversy over the city's 2011 design competition for Moore Square - some of its "i's" and "t's" neither dotted nor crossed - was only recently resolved when a new Sasaki design replaced the original winner. These are symbols of a growing city striving mightily for a larger presence on a regional stage. Missteps might be allowed on smaller projects, but Dix Park is no minor affair. 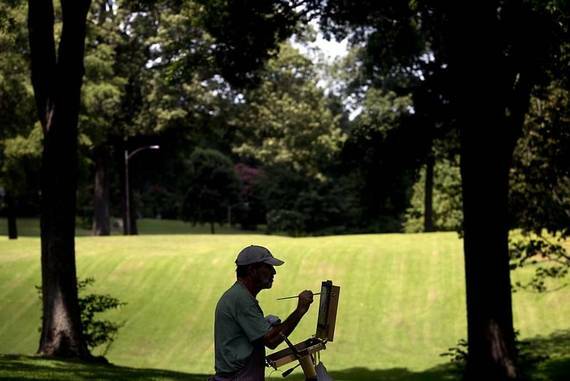 Goodmon, a key supporter, is calling for it to be "the greatest park in the nation." Its monumental scope will require a master plan that proposes many uses over a long period of time. However it's programmed, this park will serve not only today's citizens, but their children, grandchildren and great-grandchildren. As Raleigh Mayor Nancy McFarlane notes, it must offer place-making for gatherings on a grand scale - as well as intimate spaces for thoughtful solitude. That's a tall order. It's complicated by the expense of developing the property while looking for ways to pay for maintenance - making its master plan more an economic development tool than a design proposal. Broad uses will be laid out in this plan, but designs for its spaces should come later. "It's about programming, connections and funding," says Durham landscape architect Walt Havenner of Surface 678, designers of the exquisite Rodin sculpture garden at the North Carolina Museum of Art. "It helps the city narrow down what it wants to do; then designers come up with approaches." The city already has a leg up on planning. Among its partners is a group of philanthropists formerly known as the Dix Park Visionaries, now the Dorothea Dix Park Conservancy. Goodmon is chairman of the group that has already pledged $3.5 million toward a master plan. So now, as near-giddiness over the land acquisition recedes, the hard work of developing the park commences. 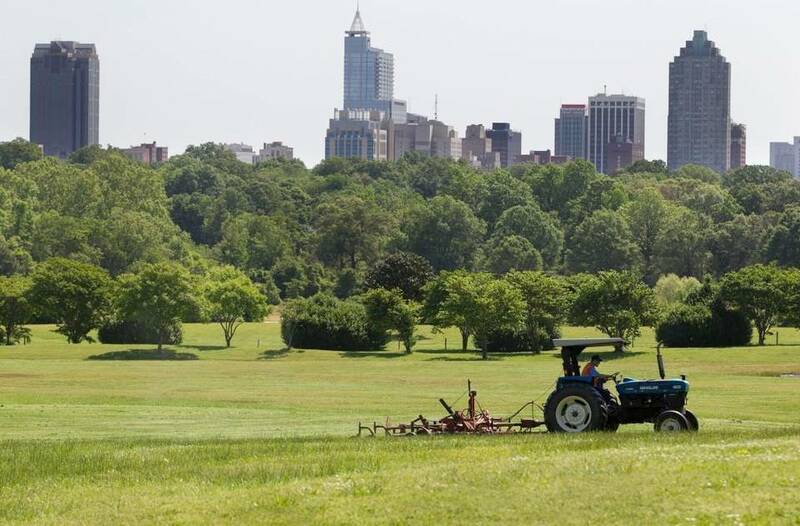 The first question to be asked, says Mark Johnson of Civitas, the Denver-based landscape firm creating a new set of gardens and parks at NCMA, is: What opportunities does this property open up for the city of Raleigh that didn't exist before? "The act of doing the master plan might be the process by which you get the answers," he says. To be relevant, Dix's programming must be informed by the citizens of Raleigh - and the park's past incarnations. "Think about the 200 years behind you and the 200 in front," says Thomas Woltz, principal in Nelson Byrd Woltz Landscape Architects of Charlottesville, Va. and New York City. "You're in the middle - the steward of the stories of the land that are linked to the past - to deliver a resilient and beautiful park for the long-term future." Woltz is a Mount Airy native, currently at work designing a 4 1/3-acre park in Manhattan's Hudson Yards, implementing a master plan for the 1,500-acre Memorial Park in Houston, and creating a botanical garden on the grounds of a former mental hospital in Traverse City, Mich. Each project is different because each owns its history, written by its citizens. "It's important to build coalitions of groups and people invested in this park," he says. 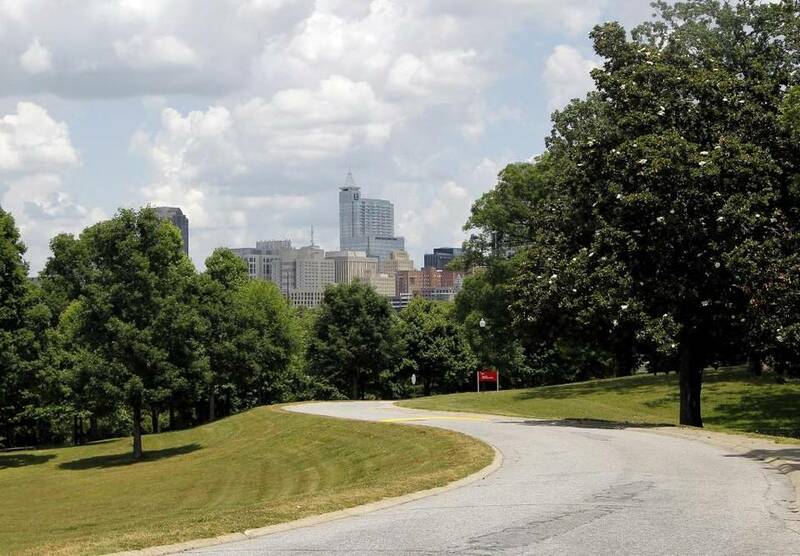 Here, the first coalition might be those connected to Dorothea Dix Hospital - doctors, nurses, former patients, and their families - even those at rest in its cemetery. But embedded too within the park are other stories: the land once farmed as part of patient therapy, the 1856 hospital designed by noted architect Alexander Jackson Davis, and the pre-Dix uses by settlers, African-Americans, Native Americans, and even prehistoric inhabitants. Hispanics and the arts community also may have more contemporary narratives to contribute. Within the master plan, questions surely will abound, preservation among them. In addition to the 19th-century hospital, 26 other buildings dot the landscape, 22 of them considered "contributing" in the National Trust for Historic Preservation's register. Which should be preserved, and which demolished? What would be their highest and best use? Could they be renovated and leased to generate income? Would the Tuscan Revival hospital make, as Preservation North Carolina's Myrick Howard suggests, an excellent boutique hotel and a destination unto itself? That would brand Raleigh one of the few cities with two functional Davis buildings - the other being the State Capitol. Again, income generation is a possibility. Or should Dix be purely a destination park, as Dix306 organizer Bill Padgett believes; one served by footpaths and bicycles within its boundaries, a celebration of nature inside an urban setting, undisturbed by automobiles and buses? "A park like this is preserved because people couldn't get to it," says Keith McPeters, principal in Gustafson Guthrie Nichol, the award-winning landscape architecture firm redesigning the site of San Antonio's 1968 Hemisfair. "So now, how to get to it will involve a transit plan. Should there be a roadway connection? And how do you prevent it from becoming a parking lot?" Adjacent State Farmers Market parking lots might be one solution, but that wouldn't solve access across Western Boulevard to downtown. And what of light rail from the new Union Station and soon-to-be built parking deck at The Dillon, next door in the warehouse district? What are the transit possibilities there and elsewhere? "How do you activate the edges and make it more connected?" asks local architect Michael Stevenson. "There's a wonderful opportunity for the southwest corridor of the city to weave itself together." The only certain connection to downtown now is to Pullen Park, a credit to farsighted negotiators. "One thing we did is get an easement on the Governor Morehead School property so that a pedestrian bridge from Pullen Park was part of the purchase agreement," McFarlane says. Once transit questions are addressed, development around the park's edges can be explored. 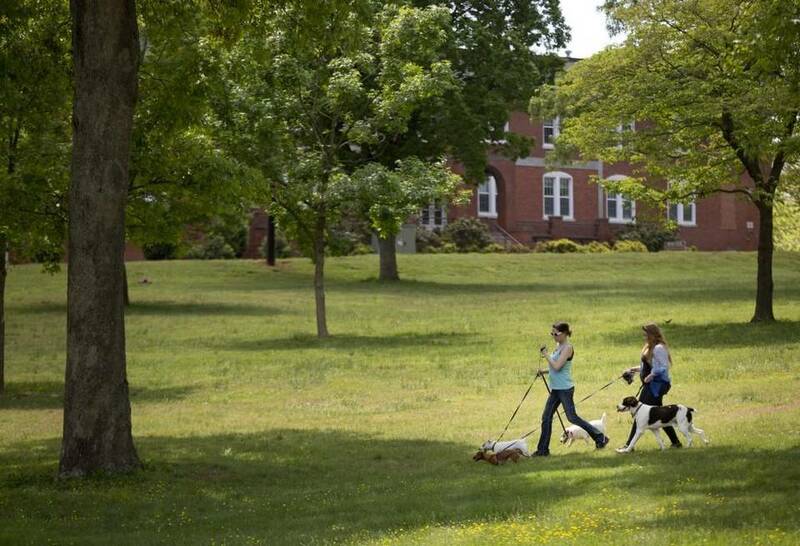 The Spring Hill property, adjacent to the park and owned by N.C. State, is a sure candidate. But how high might mixed-use towers of retail, office and residential units rise? That's a question for the university. But Dix Park - if its progenitors want to get it right - needs a champion to lead this charge. That probably means someone backed by a team experienced in parks this size, with expertise in landscape design, sustainability and urban planning, and in listening to constituencies and articulating their viewpoints. Mostly though, it means someone committed to Dix Park for the next 25 years - and to its very long life afterward. J. Michael Welton writes about architecture, art and design for national and international publications, and is the author of "Drawing from Practice: Architects and the Meaning of Freehand." He is architecture critic for the News & Observer in Raleigh, N.C., and editor of an online design magazine at www.architectsandartisans.com. He can be reached at mike@architectsandartisans.com.